First of all lets WELCOME a new collection from the most wanted e liquid brand since 2016, Sir Paman. Sir Paman brings us now fifteenth different and amazing flavors. Furthermore this new collection named JUST contains all these flavors. Because in this collection the flavors are actually very simple, but yet very tasteful, the collection was named JUST . as a result we loose track of the actually basics. Just collection brings us back to the basic taste of original fruit flavors and not only. As a result, with the e liquid from Just collection, you will taste only one fruit and not a mixture of fruits. Therefore with the e liquid Just Watermelon, you will only taste the flavor of Watermelon and nothing else. Most important is the fact that this is a really high quality e liquid. Furthermore, Sir Paman is extending every day more and more all over the world. 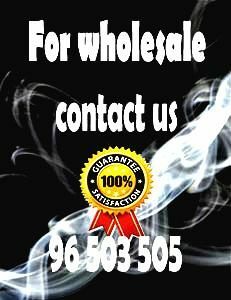 Therefore, high quality e liquid, Sir Paman Just can easily get to you. What does Promotion Price means? Sir Paman wants you to try all flavors from this new collection. Therefore, you are going to buy them at a promotion price. That means that you are buying the Just Flavor at a very low price but for only a period of time. As a result, it can be yours for only eight EUROS. Most noteworthy is that this is a mix and shake e liquid. Therefore this is only one of the three thing that you are going to need. One of them is optional. As a result, this is only the PURE flavor. Therefore, in order to have a finished e liquid you are going to need the glycerine. The Glycerine is easily found here. Another thing that you are going to need is the nicotine booster. Because some vapers are down to 0mg The nicotine is optional . Therefore, you don’t need it to complete the e liquid. But if you want you can find it here. Lovely taste will buy again.Probably the best watermelon Ejuice I’ve ever had.